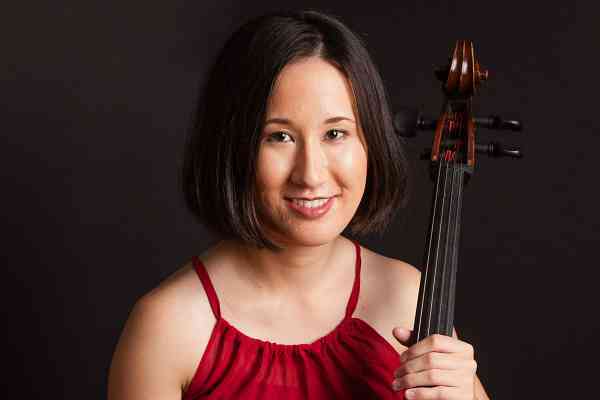 Cellist Jennifer Carpenter is an active educator and performer in Rochester, NY, where she is a member of the Rochester Philharmonic Orchestra. She teaches privately and at the Hochstein School of Music and Dance. Jennifer holds a Master of Music degree from The Juilliard School, where she studied with Natasha Brofsky. While earning her master’s degree, she completed the Suzuki teacher training course at The School For Strings in New York City. Jennifer has enjoyed teaching cello students of all ages for many years in a variety of settings, including her private studio, Nazareth College, Juilliard Pre-College, Kneisel Hall Program for Maine Students, and the Wyoming Seminary Performing Arts Institute. Raised in Liberty Township, Ohio, Jennifer began cello studies at age four in the Suzuki program. While growing up she studied with Eric Kim, Ellen Shertzer, and Pansy Chang. She earned a Bachelor of Music degree at Oberlin Conservatory, where she studied with Darrett Adkins. An avid chamber musician, she has attended The Perlman Music Program, Kneisel Hall Chamber Music Festival, Bowdoin International Music Festival fellowship program, and the Castleman Quartet Program. Her previous experiences as an orchestral musician range from Juilliard Orchestra, where she served as principal cellist, to the Aspen Music Festival, where she served as a fellow in the conducting academy orchestra. As an enthusiast of historical performance, she studied baroque cello at Juilliard with Phoebe Carrai, as well as viola da gamba and baroque cello with Cathy Meints at Oberlin, where she performed with Oberlin Baroque Orchestra.